The Medical Malpractice attorneys at KALIS, KLEIMAN & WOLFE have been helping South Florida victims seek justice for more than 20 years. 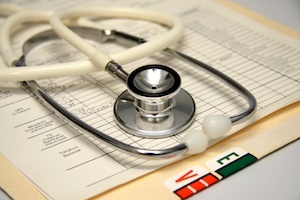 Medical malpractice and medical negligence cases often involve negligence or carelessness by a medical doctor or other health care provider (such as a hospital, a nursing home, an assisted living facility, a nurse, a caretaker, a chiropractor, or a dentist) where a person suffers a personal injury, catastrophic injury or even a death as a result of their actions. Patients have rights including the expectation to receive adequate and safe care while under the treatment of the medical provider. When they do not, they have the right to seek justice in a court of law. Medical malpractice occurs when and individual or institution fails to act reasonably or deviates from a reasonable standard of care that a similar medical professional would exercise under the same circumstances. Medical malpractice can have devastating consequences on patients and their families. It is important to hire an experienced and knowledgeable attorney who will protect your rights. Our Medical Malpractice attorney, Tami Wolfe, can assess your specific case to see if your doctor, hospital or health care provider acted negligently..
Filing a medical malpractice lawsuit may allow you to receive the necessary monetary compensation to allow you to move forward. Financial compensation can include current, past and future medical expenses, lost earnings, and pain and suffering. In support of consumers, Florida passed legislation to make doctor, hospital and health care data and reports available to the public through the Florida Department and Health’s Health Care Practitioner Data Portal. Consumers can visit the New Medical Quality Assurance Search Services site to look up license verifications, practitioner profiles, discipline and administrative actions, and more. It is hoped that this extensive medical information will help the community stay better informed when it comes to their or their loved ones health. If you or a loved one has suffered a serious medical malpractice injury, a catastrophic injury or wrongful death due to the actions or negligence of others, contact Tami Wolfe online or call her today at (954) 791-0477 for a FREE consultation.